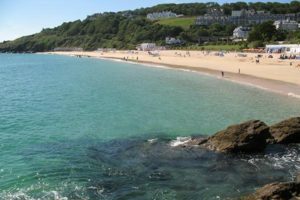 It’s no secret that Cornwall boasts exquisite sea views and miles of the most beautiful coastline in the UK, and plenty of eateries know it too. 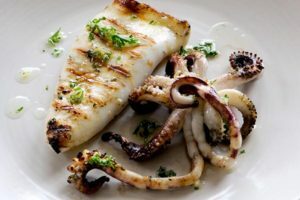 Beachside cafes, stormwatching strongholds and even those secret spots that sell the freshest fish just yards from where it was landed – you’ll find them all here in this spoilt-for-choice collection. 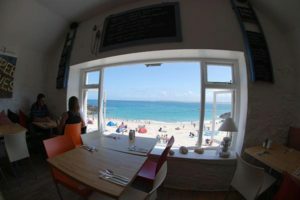 Casual, beachside eatery with amazing vistas across St Ives Bay. Serving simple contemporary food at an affordable price. Local and seasonal food at reasonable prices, with daily changing menus - simple, yet bursting with flavour - created by acclaimed Head Chef Tom Hunter. Scarlet is the perfect venue for a relaxed breakfast or lunch in stunning surroundings, and the evening menu and comprehensive wine list guarantee a memorable dinner. 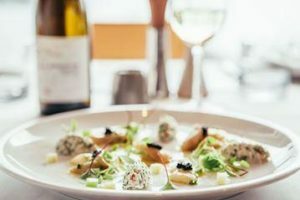 This fine dining restaurant offers a modern British menu with classical French influences, and a strong focus on the locally caught fish and seafood for which Cornwall is rightly famous. The menu is designed by award winning chef and proprietor Grant Nethercott and showcases natural, eclectic flavour combinations. 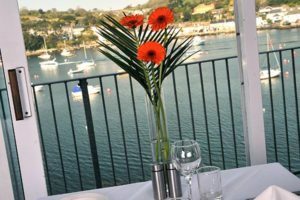 An award winning restaurant in Falmouth with stunning views of Falmouth Bay. 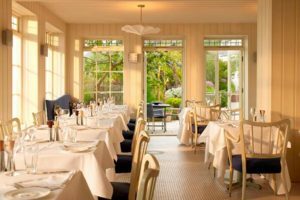 The Flying Fish is a stylish, contemporary and friendly restaurant. Head Chef Andy Smith and his team create an exciting range of dishes using fresh & seasonal produce, with an emphasis on fresh fish & seafood. A small licensed restaurant overlooking the sea. Local chef and owner Chloe Marsland previously worked for Jamie Oliver as a Chef/mentor at Fifteen Cornwall - now back in her home village of Coverack she prides herself on using locally produced ingredients to deliver fine food. 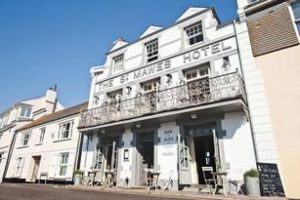 The location of the St Mawes hotel, in the centre of the village alongside the harbour, places it at the heart of the community. It?s where the locals, the fishermen, the sailors and visitors all gather throughout the day and long into the evening. 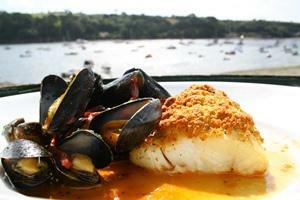 Steeped in history, the Ferryboat Inn is situated on the waterfront of the North Helford Passage. 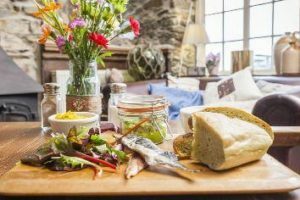 Their 'farm to plate' philosophy means little or nothing comes between you and the local produce they serve, offering seafood specialities from local day boats alongside homemade pub classics using the freshest local produce available. Delicious thin crust pizzas, dedicated to Cornwall's mining history with names such as Wheal Kitty and Wheal Friendly. The pizza dough is made daily on the premises using organic flour. Pizzas are hand-stretched to order and topped with fresh, locally sourced toppings and are available to take away or eat in. 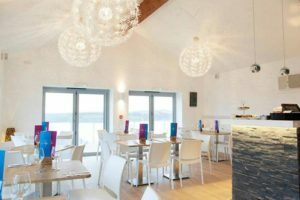 Perched on the edge of one of the world's largest natural harbours, the Greenbank's bright, stylish Harbourside Restaurant is the perfect place to enjoy the bounty of the Southwest's waters. Experience the ultimate coastal break at the St Moritz near Rock, where the Camel Estuary meets the swell of the Atlantic Ocean. Head chef Jamie Porter values fresh, local produce and serves the finest seafood in their vibrant, open-kitchen restaurant. 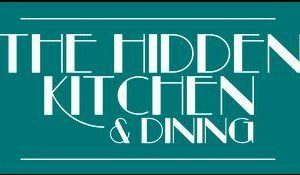 The Hidden Kitchen & Dining is the first supper club and private dining venue in St. Ives. They have a multi-purpose venue that feels relaxing & intimate, and can cater from 10-50 guests. 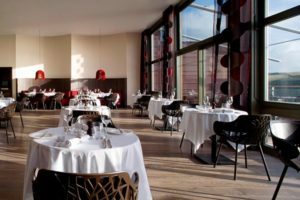 They showcase local seasonal produce within their weekly menus and create a vibrant and enjoyable atmosphere for guests to enjoy. C-Bay offers locally sourced seasonal ingredients and mouth-watering dishes with a Cornish and British influence which you can enjoy in our sea view restaurant, on the sun terrace or in the garden. Tresanton has 31 rooms, all with magnificent sea views. 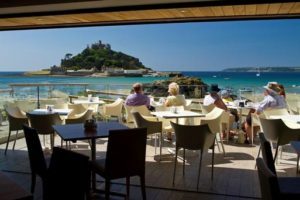 Diners can make use of the restaurant's large terrace and the daily changing menu features local seafood, Cornish meat and organic vegetables. 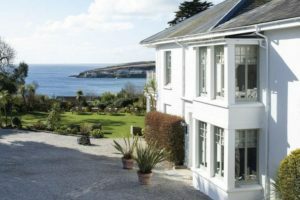 Situated on the harbourside of St Mawes with 19 bedrooms, each with its own unique scheme, a restaurant seating 65 with views across the unspoilt harbour, and a South facing Terrace that sits perfectly on the rocks, The Idle Rocks is the place where people can re-engage with the simpler pleasures in life. Magnificent cliff top location above Mullion Harbour with wonderful harbour and costal views. 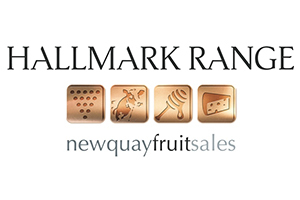 Fine wines and excellent food using the very best fresh local produce. The welcome is warm and sincere, the service professional yet relaxed. 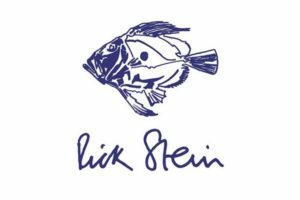 Rick and Jill Stein have four restaurants in Padstow; The Seafood Restaurant, St Petroc's Bistro, Rick Stein's Cafe and Stein's Fish & Chips. 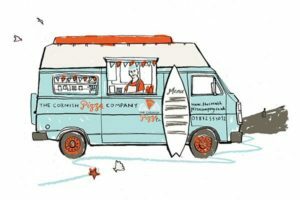 They have a pub, The Cornish Arms in St Merryn and Rick Stein's Fish in Falmouth. 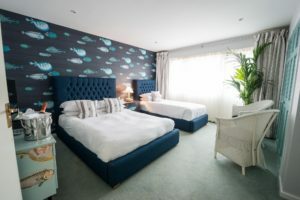 They also have 40 guest bedrooms, four self-catering properties, a cookery school and four shops - a deli, patisserie, gift shop and fishmongers. 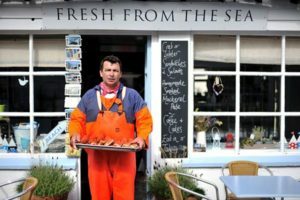 Set in the island?s old sail loft on the fringe of the village, our licensed cafe serves a wide selection of light lunches, home-made breads and cakes plus fresh fish specials, using the best local, seasonal and sustainable ingredients. 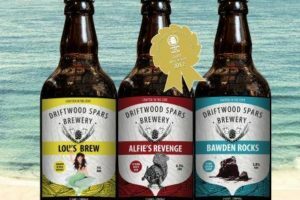 An award-winning seafood restaurant, nestled beneath the steep slopes of Porthminster Point, right on the beach with unbeatable and uninterrupted views across St Ives Bay to Godrevy Lighthouse. 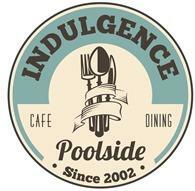 Now open all year round for morning coffee, lunch, afternoon tea and dinner. 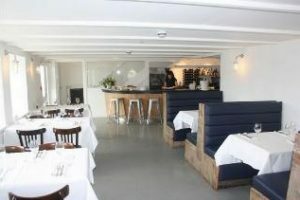 The 'Fitty' is a seafood Bistro, open from Easter to the end of September and frequently used for events & private hire. The restaurant's striking views manages to capture Cornwall's delightfully enchanting character in a nut-shell. The menu changes every day but expect seasonal, coastal, no-ego food. Your dishes will be cooked simply and with integrity by a new team who have learnt their trade under some of the UK?s top Michelin-star chefs. Superstar seafood chef Nathan Outlaw oversees four stunning places to eat in Cornwall: the 2-Michelin-star Restaurant Nathan Outlaw at Port Isaac, Outlaw's Fish Kitchen also at Port Isaac, Outlaw's at St Enodoc Hotel in Rock, and The Mariner's pub in Rock, with menus based around market fish and the finest Cornish meat. 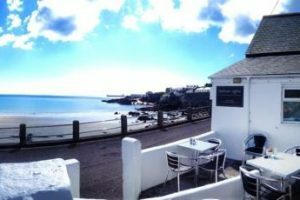 A family run inn perched on the sea wall opposite the beautiful St Michael's Mount in Marazion. 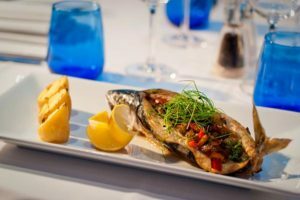 Take in the spectacular views from the beach-side terrace or the restaurant, whilst enjoying locally sourced fresh fish and other classic home-cooked food. 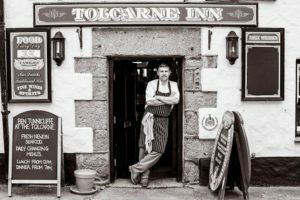 The Tolcarne Inn is a small pub that focuses on providing the best in fresh local seafood, with all catch coming in from local boats. Food is served 7 days a week, lunch and dinner, with menus changing daily depending on what fresh produce comes in. 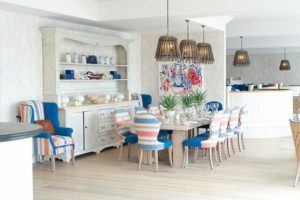 The Rosevine is a stylish coastal retreat with restaurant on the Roseland Peninsula. Family friendly short breaks and holidays in a big house by the sea. Modern country food on offer all day 9am - 9pm. The whole house is available to rent exclusively, for private parties and weddings. 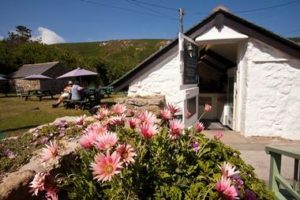 Located in the heart of Porthgwarra - the Cafe serves a selection of refreshments including fresh pasties, traditional cream teas, ice cream, cold drinks, coffee and tea, and delicious cakes baked on the premises. 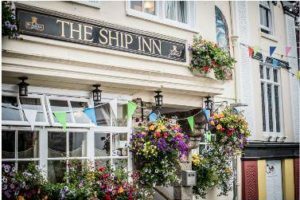 Built by adventurer John Rashleigh in 1570, The Ship Inn is Fowey?s oldest pub. 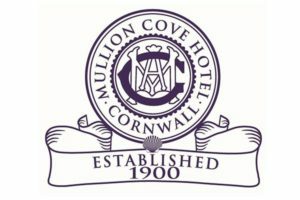 For more than four centuries the inn has been the focal point of our beautiful Cornish port ? a haven for travellers, merchants, fishermen between hauls, and locals looking for a chat around the huge open fire. 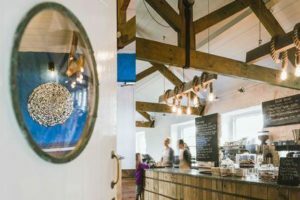 Situated on the top floor of an old grain store in Penzance, The Mill Bar and Restaurant provides good quality, locally sourced affordable food and drink. 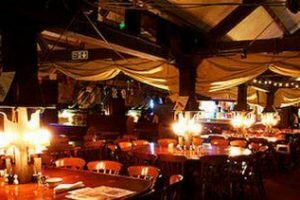 Able to cater for large groups and private functions. Two large dining rooms plus a comfortable bar. 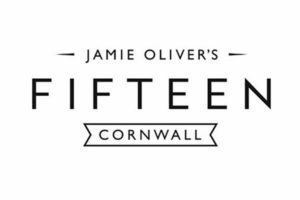 Fifteen Cornwall is part of a global social enterprise, founded by Jamie Oliver with a clear mission - empower those who deserve a second chance in life. We aim to inspire people through food, whether it's the apprentice chefs in our kitchen or the diners in our restaurant. 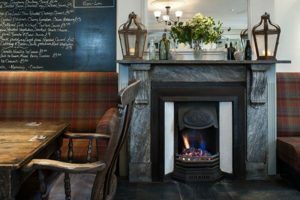 Listed Georgian hotel in the heart of St Ives with a simple offer - delicious food at reasonable prices and a perfect pint, within relaxed and stylish surroundings. 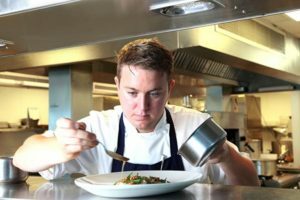 Chef Matt Perry has won a loyal following after only one year with his punchy cooking using the best produce Cornwall has to offer. 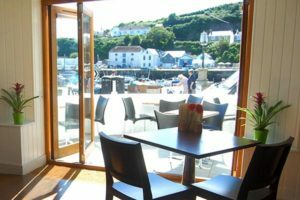 Located in the heart of Porthleven and overlooking its picturesque harbour, The Square at Porthleven is the latest impressive addition to this well-known ?foodie? village, serving a wealth of local produce available each season within close proximity to the restaurant, in their daily menu. Fresh from the Sea brings you sustainably caught Lobster and Crab straight from their boat to your plate. 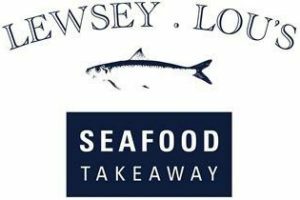 Port Isaac's finest catch is cooked and hand picked on the premises, ready for you to take home or eat with a salad or sandwich.